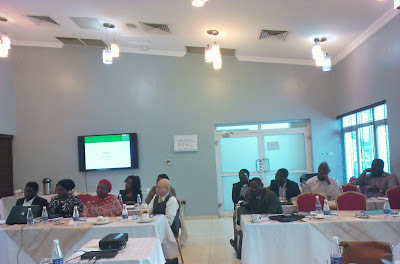 Save the Children International (SCI) has kicked off a three-day Health Workers Capacity Building (HCB) Project to improve the capacity of health workers for prompt quality health service delivery in Lagos, Kaduna and Gombe States from 23 to 25 August at the Amber Residence Hotel, GRA Ikeja Lagos. The project, which began since 2015, aims to build capacity to collaboratively develop policy advocacy briefs and develop other tools, as well as, birth plans for advocacy and consolidate their common efforts in support of the delivery of quality Maternal, Newborn and Child Health (MNCH) services for children and their mothers. The Project targets to train 5,000 workers in the three states: Lagos, Kaduna and Gombe with 1,900 to be done in Lagos. “Our approaches include improving access to basic MNCH services in communities through training of health workers to treat common childhood diseases and to educate mothers on the prevention and home care (key family practices) to ensure the early detection and prompt case seeking,” says the MNCH Adviser, Opeyemi Odedere. Now, SCI is an International humanitarian and development organisation working for the survival, protection and development of children, globally. And it has been on for over 80 years. SCI’s work in Nigeria started in 2001 with head office in Abuja and branches in the following states: Bauchi, Katsina, Zamfara, Yobe, Jigawa, Gombe, Kano, Lagos, Enugu and Kwara. The organisation’s focus is on the critical areas of child survival, newborn care, and child protection, nutrition, education, and participation. According to the Advocacy Officer, Ms. Adetokunbo Lawrence, explained that SCI under the auspices of HCB project- one of its collaborative interventions with the state government targeted at strengthening the skills of health workers to be able to deliver efficient MNCH services as well as push for the creation of a sustainable enabling policy environment for the delivery of quality MNCH services in Lagos state believes this training is important to achieving sustainable engagement and policy influencing by stakeholders. Issues being addressed on the day one of the ongoing workshop include: SCI's theory of change, Johns Hopkins Smart: (What is Advocacy and Theory of Change?, Building Consensus to determine broad goal, SMART objective and Decision Maker and Focus Efforts on External opportunities and challenges among others.